The CNN lawsuit calls the revocation "an unabashed attempt to censor the press and exclude reporters from the White House who challenge and dispute the President's point of view"
A federal judge has delayed his decision on whether to order the Trump administration to return the White House press credentials of CNN reporter Jim Acosta. U.S. District Court Judge Timothy Kelly had been expected to announce his decision on the matter Wednesday afternoon but delayed the announcement until Thursday morning. Kelly, a Trump appointee, heard arguments Wednesday from lawyers representing CNN and the Justice Department. The news network is seeking an immediate restraining order that would force the White House to hand back Acosta's credentials, which grant reporters access into the 18-acre complex. Acosta has clashed repeatedly with Trump and press secretary Sarah Huckabee Sanders in briefings over the last two years. But the dynamic devolved into a near-shouting match during a combative press conference last week following midterm elections in which Republicans lost control of the House. Acosta refused to give up a microphone when the president said he didn't want to hear anything more from him. Trump called Acosta a "rude, terrible person." The White House quickly announced that Acosta's White House access would be revoked. The CNN lawsuit calls the revocation "an unabashed attempt to censor the press and exclude reporters from the White House who challenge and dispute the President's point of view." Justice Department lawyer James Burnham argued that Acosta was guilty of "inappropriate grandstanding" and deserved to lose his access over "his refusal to comply with the general standards of a press conference." Burnham said that the White House is essentially Trump's home and office and that the president has some right to decide who can and can't be there. "There's no First Amendment right to access the White House grounds," Burnham said. Burnham also pointed out that CNN has dozens of other staffers with White House credentials, so excluding Acosta would not harm the network's coverage. The network's lawyer, Theodore Boutrous, contended that Acosta was being singled out for his White House coverage, not his alleged rudeness during a news conference. "The White House has made very clear that they don't like the content of the reporting by CNN and Jim Acosta," Boutrous said. "Rudeness really is a code word for 'I don't like you being an aggressive reporter.'" Trump, in an interview published Wednesday, told The Daily Caller that "guys like Acosta" were "bad for the country. ... He's just an average guy who's a grandstander who's got the guts to stand up and shout." The White House's explanations for why it seized Acosta's credentials have shifted over the last week. 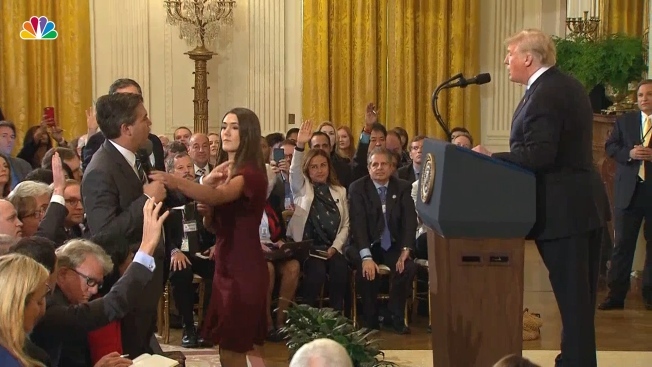 Sanders initially explained the decision by accusing Acosta of making improper physical contact with the intern seeking to grab the microphone. But that rationale disappeared after witnesses backed Acosta's account that he was just trying to keep the microphone, and Sanders distributed a doctored video that made it appear Acosta was more aggressive than he actually was. 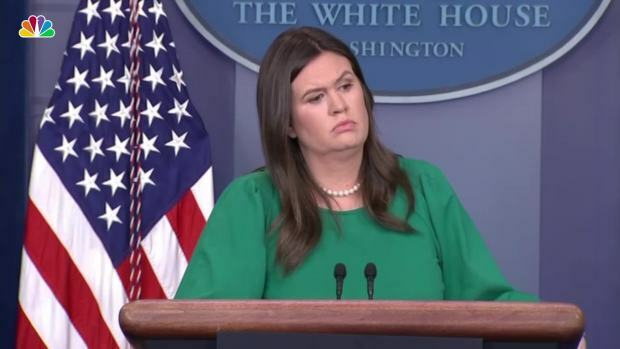 On Tuesday, Sanders accused Acosta of being unprofessional by trying to dominate the questioning at the news conference.